Today in Masonic History François Xavier Martin is born 1762. François Xavier Martin was an American jurist. Martin was born on March 17th, 1762 in Marseilles, France. At the age of 18 he traveled to the French colony of Martinique in the Caribbean. In Martinique he had little business success so he moved to New Bern, North Carolina in 1886, just before the end of the American Revolution. Once in New Bern he made a living teaching French while he learned English himself. He also setup a printing business and began reading law with a firm in North Carolina. By 1789 he had been admitted to the North Carolina bar. In 1806, Martin was elected to the North Carolina State Legislature. He served there until 1807. In 1809, Martin was appointed as the Attorney General of the newly acquired Territory of Orleans as part of the Louisiana purchase. The law in the new territory was difficult to decipher since it was a mix of French and then Spanish laws. When the laws came into conflict often the Spanish territorial governors would allow both the French and Spanish laws to be in effect. As an example, Spanish law prohibited the holding of a native American as a slave. French slave holders objected to this law and were allowed to continue to operate under the French law until Spain had made a decision on the matter. 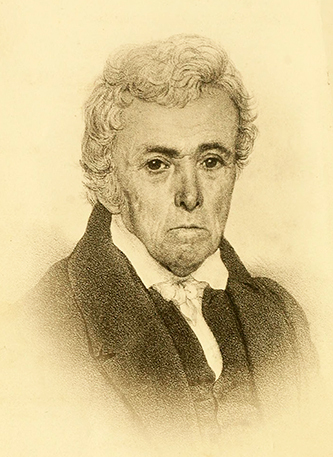 In 1813, after Louisiana had become a state, Martin was appointed Attorney General of the state. He served until 1815. In 1836 he was appointed to be the presiding judge of the Louisiana State Supreme Court. His most notable case occurred in 1845, Miller v. Belmonti. In the case Sally Miller was being held as a slave. It was believed by many in the German immigrant community that Sally was actually Salomé Müller, a natural born German citizen whose family immigrated from Germany. To gain the family passage, Sally's father sold the family into indentured servitude. After arriving in the United States Sally's father and brother were killed. At the time Sally was only four years old and was not able to defend herself. Because she was of African descent she was treated like any other African slave in the south at the time. Members of the German-American community arranged for a freedom suit for Sally and eventually it went before the Louisiana Supreme Court. The information in the case was confusing and there were often contradictory statements regarding Sally's identity. In the end Martin and the other Supreme Court justices ruled that Sally was free. This was a very unpopular ruling. Slave owners were concerned, already seeing abolitionist movement as a threat, this implied to them that any "mixed race" slave could potentially be set free. The following year the state of Louisiana held a Constitutional Convention, on day one they eliminated the State Supreme Court. The following day the reinstated the court and did not reappoint Martin or his fellow justices. Later that same year on December 11th, 1846, Martin passed away. After his passing his will left everything to family that he still had in France. The state of Louisiana contested the will stating that Martin was blind, he was for almost a decade prior to his passing, and that will could not be legal. They failed in their bid to have his will thrown out and this cost Louisiana the 10% inheritance tax they would have collected on Martin's $400,000 estate. Martin was a member of St. John's Lodge No. 3 in New Bern, North Carolina.